This is the public profile of LIEN TZU-CHENG, Additional information and high-resolution images are available for accredited press members, to access additional information about LIEN TZU-CHENG please login as a press member. About LIEN TZU-CHENG : MR.LIEN who was born in Taipei has concentrated on the interior design for many years. He got MA Design Management in De Montfort University, lived in Britain and shuttled in Europe and the United States frequently. 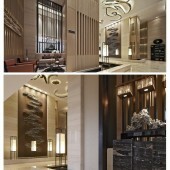 Now he lives in Shanghai and is creating a lot of wonderful interior designs. MR.LIEN is good at the precise design line running through space to make the simplicity and power of the places’ spirit, and to creative design innovation instead of traditional designs. He is exerted in luxury of simple, getting inspiration from western historical experience to create the modern style with classical elements. His designs which give the taste of modern luxury style in mansions focus on psychological, sensory, space planning feeling. 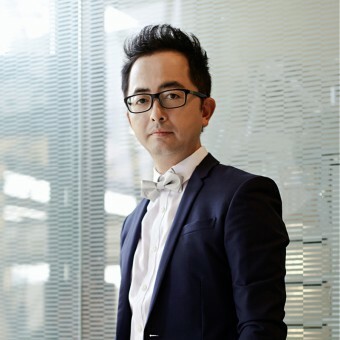 His works have been reported by the international journal 《INTERIOR DESIGN》, 《China Designer》, 《Oriental Morning》 and 《Asia Pacific Interior Design Biennial Awards》 for several times. Design is to change the way people think. During my past twenty years as a designer, I insist on the concept of “Good Design”, which in my opinion, means exquisite and flawless. The purpose of the design is to invite people’s expectation about family and dreams. Great products are from excellent design. It is only the excellent design that can make great products. 2009-Now, Greenland Group, designing for show flat and club, sales center. Press Members: Request an exclusive interview with LIEN TZU-CHENG.